Don’t miss my one-day giveaway for a $25 gift certificate to Simple Salutations. It’s easy to enter, but you must do it today to get your name in the virtual hat that I will draw the winner from. Why do I share 4 great giveaways on other blogs each week? Because my lucky readers often win them! A cozy prize as the weather cools off this fall. Ends Friday, October 31. Sounds like the perfect gift for the iPod-lover in your house. There are two winners. Ends Friday, October 31. A fun retro apron could make your time spent in the kitchen a little sweeter, especially if you win it! Ends Thursday, October 30. Do you know a little girl that would love this movie and dress-up fairy wings? There are 3 winners. Ends Thursday, October 30. Bloggers, don’t forget to submit your giveaways for a free listing at Mom Giveaways. Trust me, it is so easy to do! I wrote more about Mom Giveaways here. If you’d like to share a giveaway on your blog, then please leave a comment. Please take the time to tell us a little bit about the prize you are giving away. Just remember that if you don’t use html tags for your link to your giveaway post, then you should use TinyURL to create a link. Otherwise your link will be too long and it will get cut-off in your comment. Please read the comments below to find more fabulous giveaways to enter. When you enter blog giveaways, your chances of winning are great! Hello,I am giving away a Cooktop Cleaner Gift Basket on my blog. Check it out. I received my $25 gift card to Krogers today. Thank you so much! I never win anything I was so excited about this winning! This website is wonderful and extremely helpful. I am so thankful for seeing your program on the air. 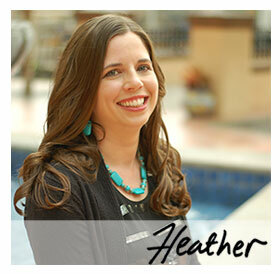 Thanks so much for the link, Heather! I really appreciate it. Remember, I will be linking up tomorrow to your interview- I can’t wait!! I have a $25 Build-A-Bear Gift Card to give away on my blog. Be sure to check it out! It would be a great Christmas gift. Moms by Heart is giving away a set of three Woodland Critters prints signed by the artist: http://tinyurl.com/64486y. These are great for a nursery or children’s room!